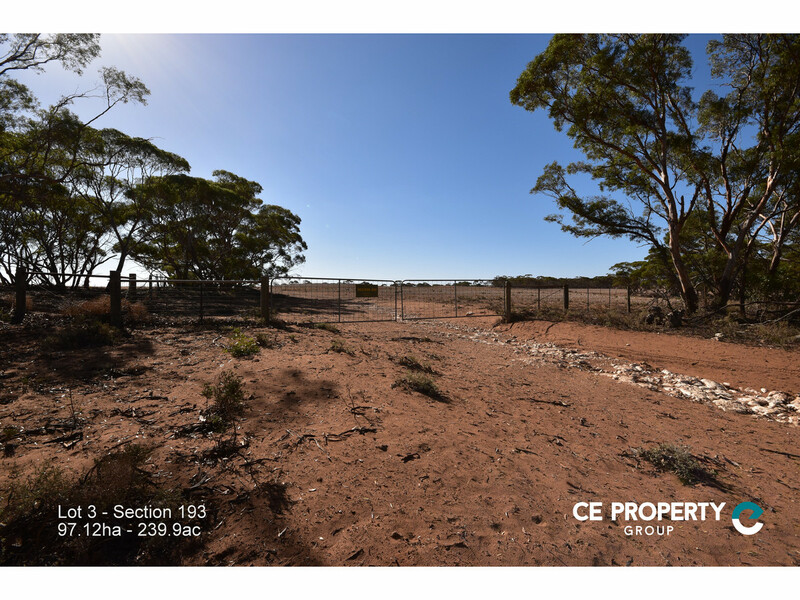 4 separate titles totalling 433.39ha (1070 acres). Predominantly farming land with pockets of timbered country, combined with rural recreational living possibilities. Similar in its characteristics to Lot 1 and adjacent to it. It is mainly light grazing and cropping land with its timbered area being centred on the property. The most scenic of the titles and suited for both secluded rural living / hobby farming with its backdrop of stunning natural vegetation combined with gently undulating sections of light mixed farming countryside. It has accessibility from two roads. Section 195 is on its western boundary with Section 194 on its eastern boundary. All boundaries are fenced. The largest of the 4 titles on offer, it is both the most productive from a farming view point, yet offers a great rural residential living opportunity with its gentle undulation, pockets of natural beauty, windmill equipped bore, scenery and accessibility from two roads. All boundaries are fenced.